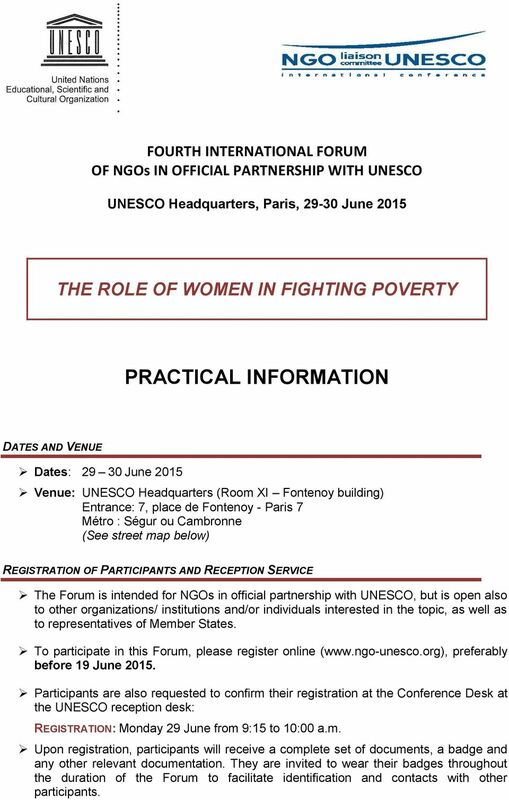 1 FOURTH INTERNATIONAL FORUM OF NGOs IN OFFICIAL PARTNERSHIP WITH UNESCO UNESCO Headquarters, Paris, June 2015 THE ROLE OF WOMEN IN FIGHTING POVERTY PRACTICAL INFORMATION DATES AND VENUE Dates: June 2015 Venue: UNESCO Headquarters (Room XI Fontenoy building) Entrance: 7, place de Fontenoy - Paris 7 Métro : Ségur ou Cambronne (See street map below) REGISTRATION OF PARTICIPANTS AND RECEPTION SERVICE The Forum is intended for NGOs in official partnership with UNESCO, but is open also to other organizations/ institutions and/or individuals interested in the topic, as well as to representatives of Member States. 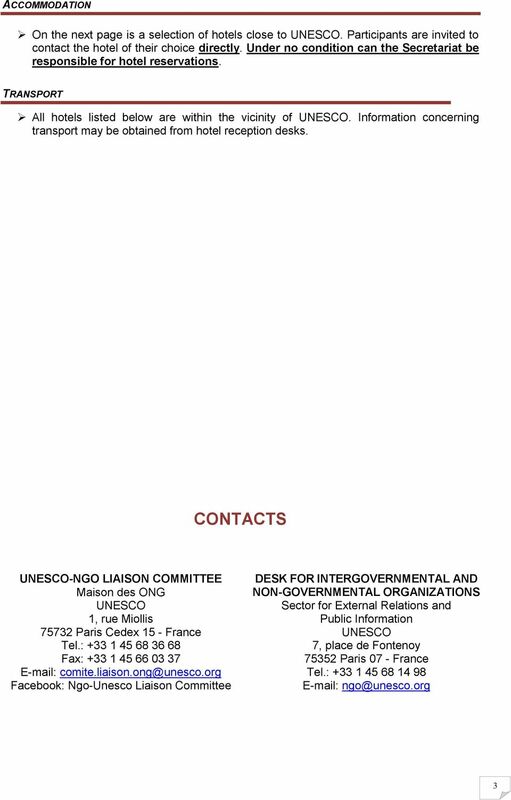 To participate in this Forum, please register online ( preferably before 19 June Participants are also requested to confirm their registration at the Conference Desk at the UNESCO reception desk: REGISTRATION: Monday 29 June from 9:15 to 10:00 a.m. Upon registration, participants will receive a complete set of documents, a badge and any other relevant documentation. They are invited to wear their badges throughout the duration of the Forum to facilitate identification and contacts with other participants. 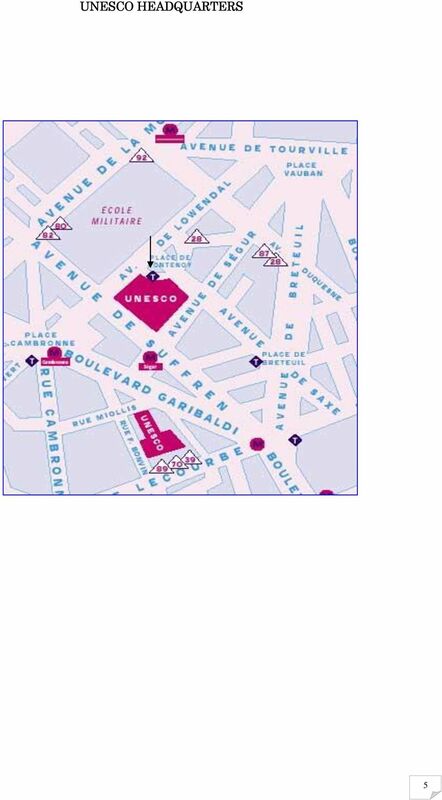 Between Airports (Roissy Charles De Gaule and Orly) and Paris Where to purchase your ticket? 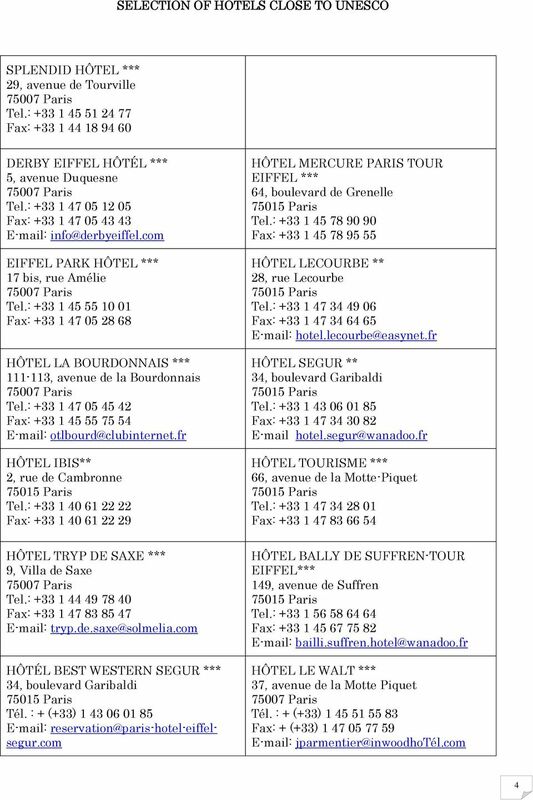 Buy your ticket at the Air France Coaches tickets counter or directly from the driver Where are the Bus Stops? OA REGION 9 ASSEMBLY & CONVENTION 2015 We invite you to come to the gathering of the many "Voices of Recovery" that will be heard and shared during this unique international meeting of Overeaters Anonymous. 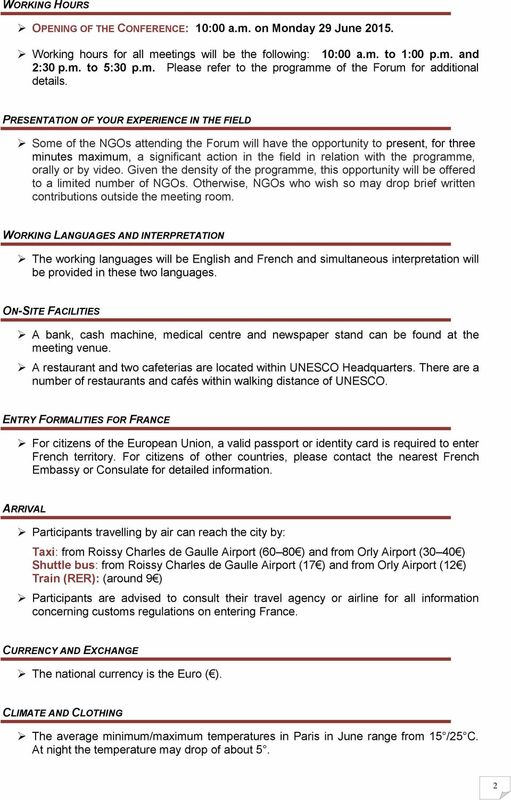 Kindly go through this entire document (5 pages) carefully before booking your flight. INFORMATION NOTE. Welcome to Dakar! Herewith is some general information on administrative and other logistical arrangements made for the workshop.